If you haven't checked out Lucy's blog Attic24 then you are missing out! So much crochet rainbow goodness! Love it! She's got some amazing tutorials which are so simple to follow ( she even has photos to help!) Everything that she does is so delicious that I have to limit myself on how much I look!! The Blooming Flower Cushion is so cute and very simple to make. And it works up fast! Like scarily fast! Its such a cut design that you could work into so many other projects! Here's my attempts! Stay tuned for an update on what I've done with these! 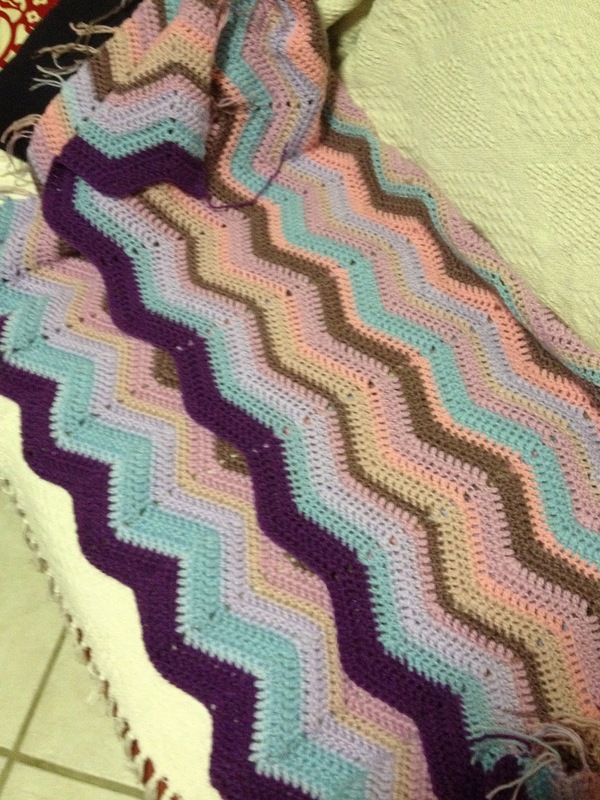 Another gorgeous project and pattern is the Ripple Blanket- love it! I actually didn't use her pattern ( don't judge me!) But I love it all the same! The ripple is an amazingly easy blanket to work on and its so relaxing to crochet. << There's my first attempt. I was trying to use up some of my never ending stash. Whenever i need some crochet inspiration I look no further than Lucy's blog.